Ray Rackham is a writer-director currently based in London, with a particular focus on musical theatre. Rackham has directed the U.K. premiere of Harvey Fierstein and John Bucchino’s A Catered Affair, Adam Gwon’s Ordinary Days, Carolyn Scott Jeff’s Fanny: A New MusicHall (recipient of the Birmingham Arts Festival “best show” award), Stephen Sondheim’s Follies, Assassins, Company, and Into the Woods, and devised and directed for the 2014 Tennessee Williams repertory season Four by Tenn. Rackham devised the Sondheim revue Just Another Love Story (recipient of the 2012 Angel award for Artistic Excellence at the Brighton Festival). 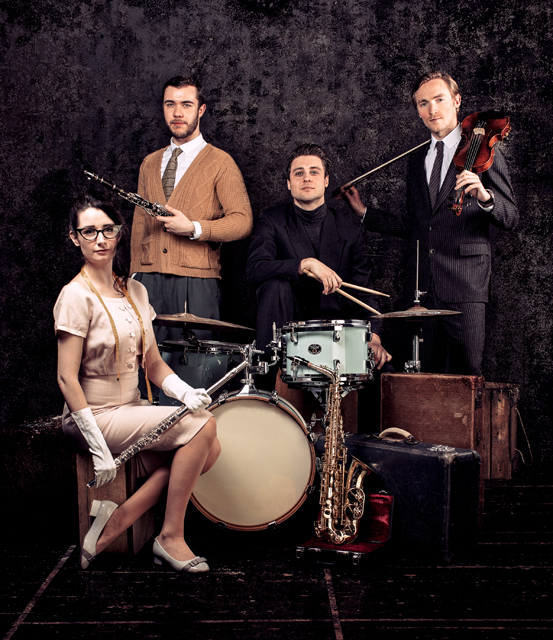 As a writer, Rackham’s first musical, Apartment 40C, premiered in 2014 and enjoyed a successful run at the West End’s St. James Theatre. 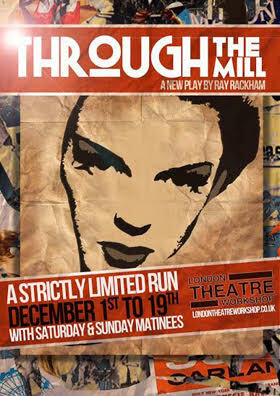 His critically acclaimed play, Through the Mill, premiered at the London Theatre Workshop in 2015, before transferring for a sell-out run at the Southwark Playhouse in 2016. Rackham has been Artistic Director of the London Theatre Workshop since 2013. The Judy Room: Congratulations on your successful run of Through the Mill at the London Theatre Workshop and Southwark Playhouse in London. What was your inspiration for the play? Ray Rackham: I’ve always been fascinated by a few very distinct, but I believe interconnected, themes or periods when writing. Strong female characters are truly fascinating, and always so wonderful to write. I think this first fascinated me as a young boy; the only boy in my generation; and being surrounded by my mother, three sisters, various aunts and female cousins, and the matriarch of my mother; my grandmother Sylvia Ada Smith, a dancer. And Judy was one of the strongest of all; uniquely talented, fantastically driven, and tragically flawed. My introduction to Judy was through her recordings, first and foremost; and with the exception of Oz, I hadn’t really considered her long, broad and varied career at MGM and beyond. I was at a dinner party and ended up sitting next to another fascinating woman, who had worked on Judy’s last film, I Could Go On Singing. This wonderful person shared stories about Judy that would make your draw drop, hair stand on end; and most importantly, showed the amazing tenacity of a diminutive diva who always came out fighting. I was hooked. JR: There have been a good half dozen plays about Garland in the recent past. Why does she continue to fascinate? What differentiates yours from those plays? RR: I guess, when someone crams so much into their 47 years, there are so many stories that still remain untold. Or, at the very least, deserve to be told through a variety of lenses. Judy’s life was a roller coaster; incredible highs matched by devastating lows. The capacity to survive, to come out singing, and (to paraphrase Stephen Sondheim) get through all of last year, daily fascinates anyone with an artistic or theatrical leaning. Judy’s life was innately theatrical. She lived in an almost constant tornado and yet smiled. I think it was Frank Sinatra who said that the rest of us will be forgotten, never Judy. I hope that my play explores that parallel between sadness and joy. Not only the “laughter through tears” that is associated with many entertainers, but the pure joy of being good at doing what you want to do. JR: In the play, you depict Judy at three ages – in the 1930s, 1951, and 1963. Why did you choose those three periods? Is there one that appeals to you most? RR: Now, there’s a question! 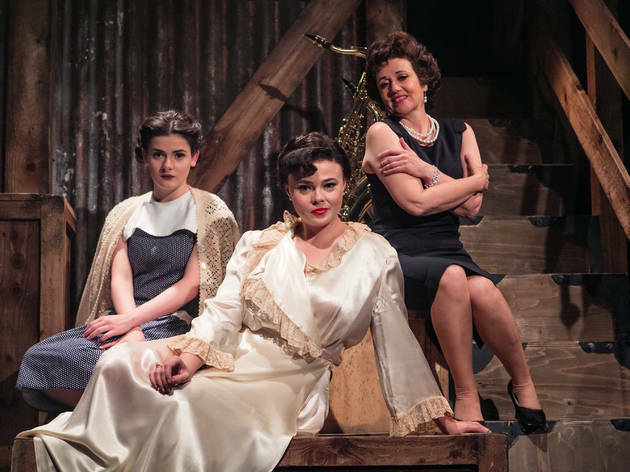 It would be unfair to pick out one time period that appeals to me most, as I have three fantastic actresses in Lucy Penrose, Belinda Wollaston and Helen Sheals playing Judy at these three very different periods in her life. 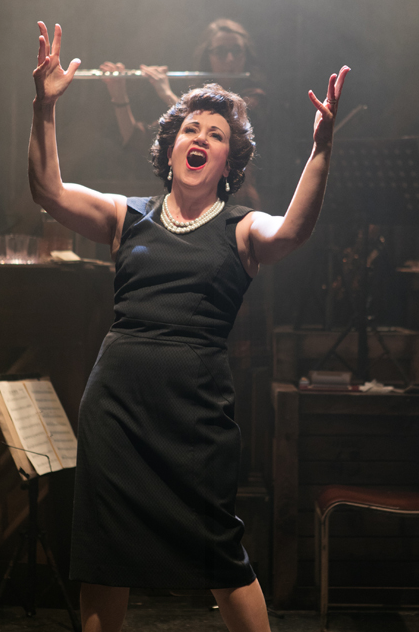 What I will say is that each brings a unique portrait of Judy to the stage that is entirely their own creation, but captures the fundamental essence of this beautiful human being. I chose these periods because they reflect a different Judy and yet capture thematically what made her so incredibly consistent. Enormous talent, a passion to aim high and achieve higher, and a deeply fragile yet incredibly strong personality. Be it during the period of being discovered, creating the first come-back that jettisoned her singing career into the stratosphere, or trying the new medium for entertaining: that little box in the corner of the living room. JR: Why do you think that people in the 21st century would be interested in Judy Garland? RR: That’s simple, her story is equally universal and timeless. 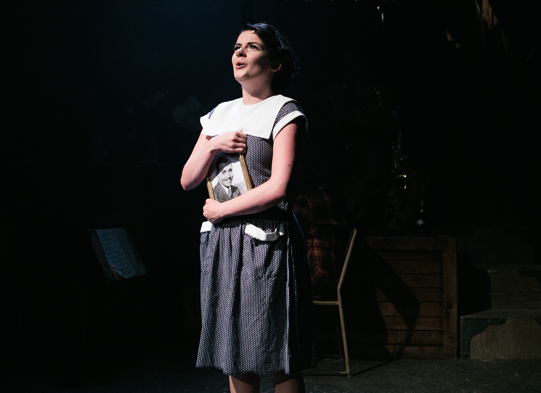 What was thrilling, during the most previous two productions of Through the Mill is that our audience brought as much of themselves to the theatre as they did an interest in learning about Judy. The play captures elements of the human condition that surprise the audience. What is it to love, or be loved, or need love? Are we active participants in our own destiny? 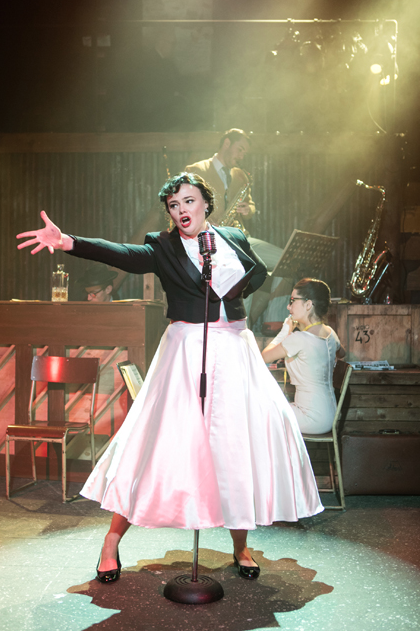 Equally thrilling was hearing audience members leave the theatre wanting to learn more about Judy and her life. I wanted to present an almost dreamscape, capturing fragments of moments in three narratives and enabling them to comment on each; both in dialogue and through song. JR: Is the play for the fans, or for the general public? RR: I believe it is a universal play for everyone. Naturally, some elements of what the fans will take from will be very different, but I think there is common ground that unites the entire audience. I did try to add some hidden gems that maybe one or two diehards might pick up. If you look closely enough in the 1963 narrative, you may find shades of the Scarecrow, Cowardly Lion and Tin Man within the executives who made the Judy Garland show. I wanted to represent that Judy never really lost that little girl, desperately trying to find her way home. At CBS, however, she just found herself in a very different Oz. JR: Do you view Garland as a tragic figure, or a heroic one? RR: There’s a duality between tragedy and heroism that I find poignant, especially when charting Judy’s life. In the time periods I explore, and particularly in my storytelling, Judy is arguably triumphant. But one always has to remember that the audience lens doesn’t stop during the filming of Judy’s TV show in 1963, and most people know what happened to Judy up until her untimely death. Judy’s death was so inherently tragic, her life cut too short, too soon, that tragedy can then seep into every story told about her. But what do her children remember? A loving mother who was constantly laughing. Again, those conflicting themes are just so fascinating to explore. JR: Insofar as having been “through the mill,” Garland once said that things happened to her, or she brought them on, and that she couldn’t care less which was true. In your view, did things happen to her, or did she bring them on? RR: That’s a question I think we all ask ourselves, pretty much every day of our lives. And, again, it reflects the human condition. I think what made Judy unique was her capacity to not overanalyze, and in so doing so she opened the doors for us to. We examine the person because we want to learn more about ourselves, and our place in this ever-changing world. During the research period, in the early days of working on the play, I constantly asked myself, “How on earth did she cope?” I realized, very quickly, that I had to stop asking ‘how’ and start asking ‘why’. I learned a lot about myself at that time. JR: It has been said that Garland’s short life was a long suicide? Do you agree? RR: Absolutely not. Judy lived many lives in her 47 years. Her life was dramatic, a lot of that dramatic tension was admittedly self-fulfilling, but her fate certainly wasn’t predestined. Judy lived her life to the full, which made her death ever more poignant. JR: You depict Sid Luft in the play. What is your take on him? RR: I depict Judy’s interpretation of Sid in two periods of her life, falling in love in 1951 and falling out of love in 1963. I had a wonderful, Shakespearean actor in Harry Anton, who played Sidney at both the London Theatre Workshop and Southwark Playhouse (and I hope will be available to play him again). In many ways Sid has all the makings of a Shakespearean anti-hero; deeply flawed, yet vulnerable and dangerous. It has been said that Sid was the best “worst” man in Judy’s life, and I’d tend to agree with that. They did love each other very much, and he was the longest serving Mr. Garland of the five husbands Judy married. He also was responsible, at least in part, for her transition to concert hall artiste, and her return to the movies; having been unceremoniously dumped by MGM. Theirs was a volatile relationship, two strong characters, equally drawn to as they were repelled from each other. I didn’t want to make Sid just another monster in Judy’s life (there are enough already) but I had to constantly remind myself that he also wasn’t the absolute hero. Using the conceit of seeing Sid through Judy’s eyes was enormously helpful, as it enabled me to explore the different sides to this complex man. JR: How did you go about choosing the Judy of the 1930s, the Judy of 1951, and the Judy of 1963? What were you looking for in your actresses? I wanted to explore the versatility of Judy’s public persona: the movie star, the singer; the television host. Judy was hugely successful in most things she turned her hand to, even the television show, which wasn’t considered successful in 1963, is now appreciated in a way it really couldn’t have been back then. She was ahead of her time, and yet so in the “now” of any time period I explored. In the actresses chosen to play the roles, clearly each had to be a phenomenal singer. I didn’t want impersonation or mimicry, I wanted them to find the Judy they were portraying as an actress; for then they would achieve emotional truth. JR: You include a host of characters in Judy’s life, including Frank and Ethel Gumm, Louis B. Mayer, Roger Edens, Hunt Stromberg Jr., George Schlatter, and Norman Jewison. What do these myriad characters inspire in you? RR: They enable us to see Judy differently, through the very different relationships she had with each. Roger Edens, for example, enables us to love Judy for her phenomenal talent. A mentor, confident and life-long friend who was part of the movie making factory that provided Judy with such heartbreak later on. If Frank Gumm had been present more, would Judy have continued to so desperately crave the love of men? Would she have also made some of the choices she did? Was Ethel Gumm a completely heartless stage mother, and how did her relationship with her own husband drive her to want something else for her children? All of the characters, for differing reasons, are also fascinated by Judy. That’s exciting as a writer, as it enables you to give the characters themselves a motivation to explore her psyche. JR: Was directing the play a challenge? RR: It was a beginning-to-end joy! But I think that may have been down to the wonderful company. The three narratives is a conceit I have used previously in my musical Apartment 40C, so I was ready for the challenges of having the same character represented by different actors, simultaneously, often through song. But what was challenging was making the almost filmic text flow in the theatrical form. First and foremost it meant giving every actor the freedom to treat the stage as a film lot, and go from there. JR: Garland is so much a part of Western culture that audiences who see your play no doubt already know about Garland. Do you think they can better grasp Garland after seeing your play? RR: I think my play seeks to answer some of the “whys.” Why an individual behaves a certain way, or makes a certain decision is more interesting than simply charting the behavior through biographical notation. At least, I believe it is! Most importantly, why is she still relevant? The answer is clear, because she represents us all. I hope in many ways that my play continues to be about a strong yet vulnerable, flawed human being who just happens to be Judy Garland. JR: Did the experience of writing and directing Through the Mill change your perspective on Garland? RR: It has made me hugely protective of her legacy, and keen that her story continue to be told. To see an audience rise to its feet every night, as soon as the lights faded, is something I very much hope but fear may never see again. I remember giving notes during our most recent run and reminding the company that Judy shares that standing ovation every performance. It is, after all, her story that’s affected the audience so much; we are but ciphers into an incredibly interesting world. 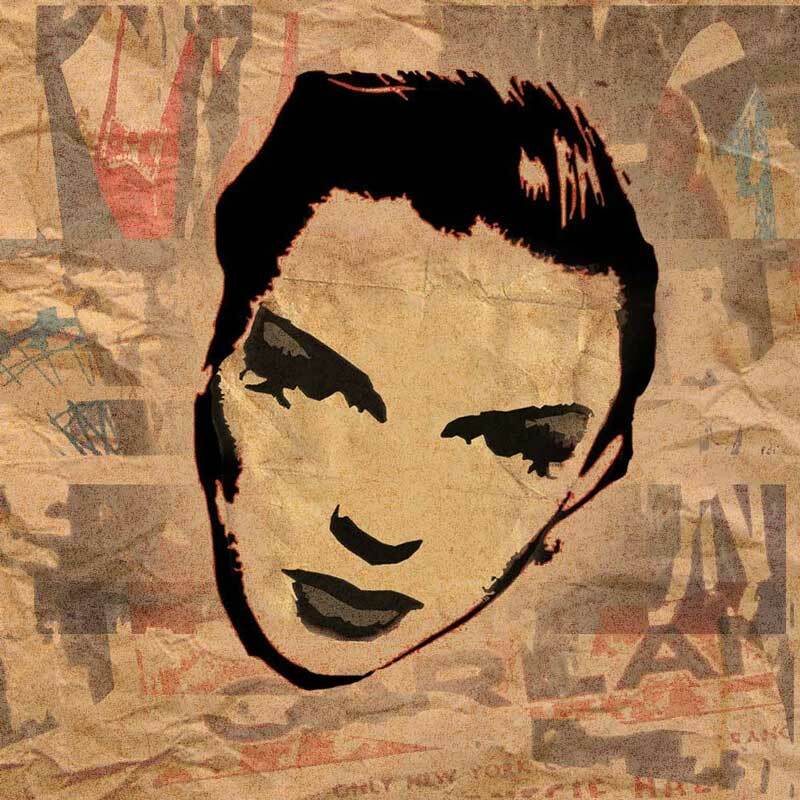 JR: What do you think is the greatest misconception of Judy Garland? RR: That she was a simply tragic figure. I hope to state, for the record, that she wasn’t! JR: On a personal level, what are your favorite Garland films and recordings? RR: Her performance of Dorothy will always have its unique and special place in my heart. I spent some time in Washington recently and seeing her ruby slippers at the Smithsonian has more of an effect on me than I thought it would. The sheer promise in that performance at such a young age is thrilling to watch. Naturally, watching A Star is Born has a similar affect, even though Judy was much older, and more experienced, it remains a visceral, almost transcendental performance that has never been bettered. Of the later films, I must confess a simple nostalgic love for I Could Go on Singing. It was the first film I watched when I decided to explore and research the cult surrounding Garland, after that dinner party where I heard so many stories. Finally, her brief but devastating performance in Judgment at Nuremberg really displays Judy’s versatility as an actress. As for recordings, nothing will ever beat the Carnegie Hall album. A masterclass in performance, delivery and love of song. JR: Is Through the Mill headed for Broadway? RR: It is the one question I am asked most. What’s the future for Through the Mill? When will we see the three Judys again? All I will say at this moment is that stranger things have happened. And I’m sure Liz Smith will let us all know if and when it does. I see this play is moving to the West End: http://www.broadwayworld.com/westend/article/VIDEO-Go-Behind-The-Scenes-Of-Judy-Garland-Musical-JUDY-20170421 .